Rain showers are going to move into our western counties after 4 p.m. EST with scattered showers sticking around through the evening hours. It was another cool morning in Greater Lafayette as lows dropped into the lower 30s. Skies started mostly clear. However, the area has turned mostly cloudy this afternoon as a low pressure system approaches Indiana. Rain showers are going to move into our western counties after 4 p.m. EST with scattered showers sticking around through the evening hours. Thunderstorms may be embedded within the system and may produce heavy downpours tonight. 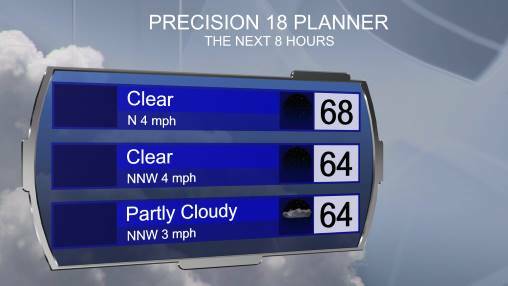 Temperatures will gradually through the afternoon and evening hours. The high temperatures today will occur just before midnight and will reach the upper 40s and lower 50s. The warming trend overnight will be associated with a passing warm front. 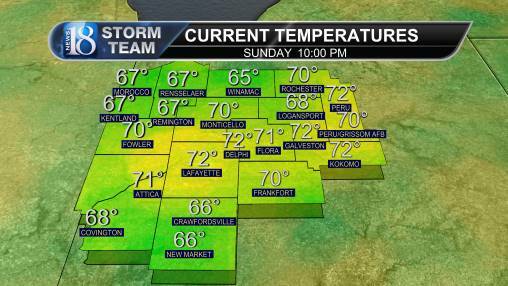 The boundary will drive temperatures and wind speeds up tonight. Wind gusts out of the SSW may gust up to 40 MPH through Saturday. Showers and thunderstorms will continue to fall for much of Saturday. High temperatures tomorrow will be reached during the morning hours before a cold front travels over the state. Behind the boundary, temperatures will plummet quickly. A few flurries may mix in with the showers during the evening hours. Skies will turn mostly clear by Sunday with highs in the mid-30s! November 28, 10 PM Weather Forecast Update: Active! January 22, 5 PM Weather Forecast Update: Very Active!